Our online shop offers a small range of highly affordable security and personal safety products. This includes our popular Card Minders to defeat contactless credit card fraud. Between 40p and up to £5 from every single item purchased here is donated to local and national good causes. We think this is a great way to buy low-cost, effective products to keep you safe and also to raise money for good causes at the same time. Why are you not for profit? 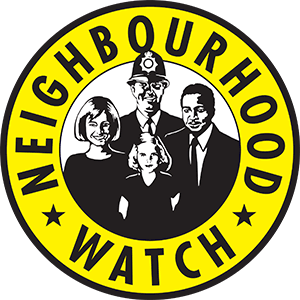 1) Our day jobs involve supporting Neighbourhood Watch (NHW) which is run by local volunteers around the UK. They help raise awareness of crimes and scams happening in their area which is particularly useful to older people. NHW is all about people looking out for each other and keeping in touch. We are volunteers who like to help communities. This website was set up by the company who created OWL (Online Watch Link) but is run by Neighbourhood Watch volunteers who are keen to convert their time into raising funds for the above mentioned good causes. Yes, all information sent between your computer or mobile device and our server is encrypted. Look for the padlock symbol in your browser. If you can't see it or get a warning from your browser, use this link to switch to the secure site: https://OwlProtect.uk. For payments we use PayPal who are the world leaders in secure payment and accept all major credit and debits cards. You don't need a PayPal account to buy from us, you can shop as a guest and select the "guest" option when you're asked to pay and simply use your credit or debit card. Payments are ALWAYS taken over a secure Internet connection. Do you donate to other good causes? We donate to county level NHW associations who have registered with us, have been verified by their police force, and proactively promote our online shop. We do not donate to other charities and causes that we haven't already mentioned, so please do not contact us to ask for donations. Sorry. Can you donate to our NHW Association? Maybe. You need to be set up as a functioning association with a chairman, secretary, treasurer and members. Or if you're a charity you must have trustees and be registered with the Charity Commission. You must operate at the "force area" level (the entire area that your police force looks after) and be recognised by your police force as the official NHW association which we will need to verify directly with the police. Contact us for details and tell us about your association and how you plan to proactively promote our online shop to your residents. Tell me about the OWL Card Minder? The OWL Card Minder is a sleeve made from a material that shields your credit or debit card from being unlawfully scanned without your knowledge. Simply slide your card inside the Card Minder and put it into your wallet or purse. When you want to use the card just slide it out of the Card Minder. Without protection it's possible for criminals to wirelessly grab your card details and use this information to buy goods or services online at your expense. The smart criminals will buy relatively low-cost items online so when you review your bank or card statements you won't be overly concerned when you can't recall making the purchase. Victims will think they've simply forgotten what they bought and won't bother contacting their bank. Most credit and debit cards now have built-in contactless payment technology called RFID. Physical contact with your card is not required to take payment and can be scanned from a few centimetres away by anyone with a RFID scanner. Fraudsters could scan your card while it’s still in your wallet or purse. Mobile phones with a freely available app can be used to wirelessly take your credit card details. Oyster travel cards use RFID and could suffer from “card clash” which may result in over-payment for the journey. We sell OWL Card Minders for just £1 each in packs of 3, 5, 10 and 25. Please start on this page to purchase online. How do I buy from the online shop? Find the item you want to buy and press ADD TO CART. You will be taken to the shopping cart page. If you're not ready to pay yet use menu to find other items to buy first. The shopping cart page can show you an estimate of the delivery cost if you enter your county and postcode then click on ESTIMATE, but you can skip that if you want. To pay press PROCEED TO CHECKOUT. We recommend that you checkout as a guest rather than register to create an account. So make sure "Checkout as guest" is selected and press CONTINUE. Please complete all your contact details. We need your phone number just in case there are problems with your order or payment. Press CONTINUE and complete the remaining details to choose a delivery method. Press CONTINUE again. For payment we use PayPal. They accept all major credit and debit cards. You do NOT need a PayPal account if you're going to pay by card. Press CONTINUE again and you will be transferred to the secure PayPal website after a short moment. When you see the PayPal login prompt you can log in if you already have a PayPal account. Otherwise just press CHECK OUT AS A GUEST. Then PayPal will ask for your card details. Make sure the correct country is selected first. i.e. United Kingdom. Finally you will be asked if you want to create a PayPal account. You don't have to, it's up to you. Select NO THANKS if you choose not to and then tick the box to agree to the payment terms and finally press PAY NOW. You will then be told your order has been placed. Please expect to receive a payment receipt by email from PayPal and also an order confirmation from us, OWL Protect. Your order will then be processed and dispatched. Are you concerned about security of contactless credit / debit cards?